Your dream house is worth spending time for hunting the appropriate houses and you can use various decorative ideas to personalize it according to your personality. You can choose from your favourite colors and accessories as well as follow up various themes. To own a perfect dream house, the Mahagun Builders is the perfect name to buy a house in Delhi/NCR and Ghaziabad. After completing many successful residential townships the group now presents another of its luxury township. 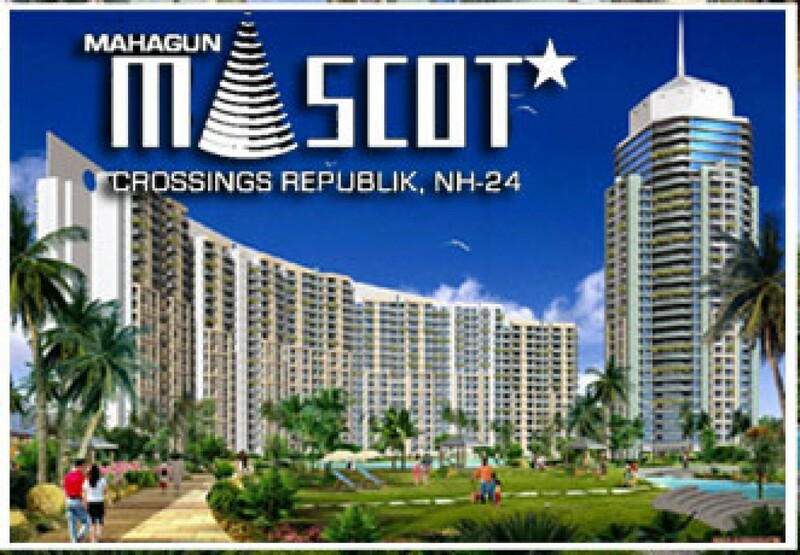 It presents Mahagun Mascot residential project at Crossing Republik NH 24 Ghaziabad with great specifications, contemporary architectures, green living environments with best recreational facilities and super modern luxuries and comforts. With Mascot you get furnished serviced apartments offering all the basic amenities and advanced facilities. The mascot furnished serviced apartments offer you facilities such as 24 hour reliable security structure along with electronic surveillance through CCTV, power backups for all the apartments, VRV conditioning, efficient water supply with storage, piped gas, reserved parking spaces and much more. These Crossing Republik flats have vaastu compliance and very planned layouts for airy and well ventilated apartments. This project in Crossing Republik NH 24 Ghaziabad has Gold Certification from IGBC and has green homes with energy efficient LED lights, low flow fixtures for water conservation, rain water harvesting plant and all upgraded technologies. This project offering Crossing Republik flats provide to own a house nestled around natural surroundings, and enjoy world class amenities well-integrated with engineered infrastructures and latest technologies that too at prices that suit your pocket. The township offers 1/2/3 BHK homes just 19 km away from the city of Delhi. It also provides the options of Villas in Mahagun Majestic tower within the boundaries of the gated complex of Mahagunpuram. The property has recreational facilities such as yoga decks, jogging and cycling trail, gymnasium, clubhouse, swimming pool, badminton court, lawn tennis court, and much more. These are the perfect dream houses you could imagine and will meet all your needs and desires that are accompanied all the modern comforts and luxuries to make life easy.